Rob is our General Manger, Commercial Operations, and looks after everything to do with the purchase and syndication of your horses. Rob is your detail-orientated, number cruncher, and ensures everything from your Product Disclosure Statements (PDSs) and Deeds of Sale, to your horses’ trust fund accounts, are all set up. 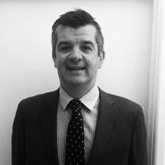 With years of business acumen under his belt, Rob looks after your monthly invoicing, and all other RTD financials. He also manages RTD’s merchandise shop, and social calendar. When’s he’s not immersed in the racing industry, Rob loves enjoying a drop of pinot with a good old-fashioned roast pork.